Then it strikes a root. I have been listening to Rafael Toral’s latest offering in his “space program”, Space Elements Volume 2, within the context of all four of his Taiga Record releases, and cannot shake the notion of a sonic bestiary and topography, a soundscape of forest floor creatures and fecund jungles, populated with sine tones and theremin waves. This impression points to one of several paradoxes I hear in Toral’s ambitious arc of works he calls the space program; the paradox of instruments bearing names like modified MS2 pocket amplifier feedback with light-controlled filter, delayed feedback empty circuit with joystick-controlled filter modulation and pure and filtered sawtooth oscillator pulses– you get the idea from this very partial listing of Toral’s working battery of sound sources- resulting in music being as acutely sensitive to the placement of silences and spaces as it is the strange pitches, pulses and interstices suggested by these names; and the paradox of Toral’s developing an improvised language, both gestural and vocal, sounding so organic and creaturely, far from the tonality suggested by random pulse width modulation oscillator. Sure, there are occasions that evince sci-fi sound emissions and the chatter of hardware. But where Toral has realized his strongest work is in the book of imaginary beings he is writing through solo and ensemble improvisation. His sound world is both grounded, burrowed deep into the loam and silt, and filled with flights and flares of satellite sparks, calls from the deep in all directions. To these ears, taking in these four recordings together [they were actually released between 2006-2010], a language emerges, and it does not sound human. Toral’s turning to language and overtly jazz-colored gestures, following a period of producing guitar-based drone works well received by fans of that area of music, is one of several risks taken. 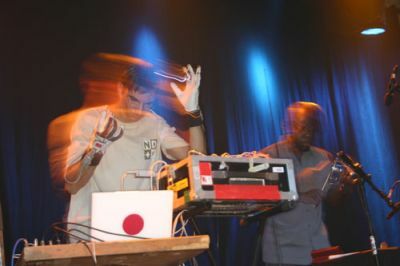 In a 2006 interview in The Wire, Toral stated he was embarking on “a projected set of six albums” exploring and articulating the space program, essentially a program of instant compositions for one or more instruments, Toral playing the aforementioned electronics. 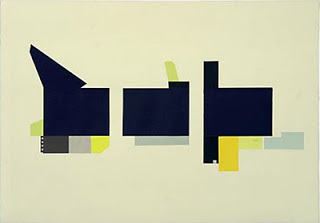 I use instant composition intentionally, to invoke the spirit of much of the jazz-based territory that is the most obvious antecedent for Toral’s work. And herein lies a risk taken- Toral has for many years been identified with both the drone, and the MIMEO ensemble, the latter a collective of a whole other nature, an entity meriting its own feature. Suffice it to say, neither drone nor the digital orchestration and electro-acoustic improvisations of MIMEO offer much overlap with the more discursive, dialogical area of the space program. Look, I don’t find taxonomies useful in a substantive way when discussing music. Nonetheless, they exist as placeholders for trying to convey the elements of sound. My experience with the space program, coming to Toral’s work from MIMEO, is that [here’s that saw I grind whenever possible] more is revealed by repeated listening, more than reductive formulae like “the silences and super-consciously chosen sound placement of EAI meets the collective improvisation of EFI.” Happily, I have found Toral’s space program to be shot through with paradox, pleasurable tensions and stillness, as well as the feel of the most concentrated jazz conversations of, for example, the Jimmy Giuffre/Paul Bley/Steve Swallow trio; and, in the dimension of reinvention, Miles. Toral has reinvented his sound world, jettisoned the instrumentation and sonic palettes he was familiar with, and is stitching together elements not just of space, but of new sounds. Wrangling and arranging unstable pitches, shaping feedback and sine tones in real time. So, the paradoxes in sum- a sensuality and organicity created by circuits and oscillators, the warp and woof of an explicitly language-based form of improvisation combined with elements of the post-onkyo approach to sound and silence, and Toral’s delightful menagerie of creature sounds, sometimes comic in effect. There is great range on this album, with a half dozen guests contributing to this installment of the space lexicon, as well several of Toral’s long-time collaborators; alto trombonist Fala Mariam, the gorgeous tone of the lyrical trumpeter Sei Miguel, and, always impressive, percussionist Cesar Burago. On one track of Space Elements, Volume 2, guest guitarist Manual Mota works through jazz chord progressions reminiscent of the balladry of Kenny Burrell or Grant Green, while Toral skitters and spins around him, spewing and chattering like some unspecified mammalian critter. In a lovely duo with vibraphonist Stefano Tedesco, Toral offers the gravitas of deep tones and a nuanced framing of Tedesco’s brief melodic flight [Tedesco reminds me strongly of a vibes player I haven’t thought about in years, Tom van der Geld, who produced a beautiful album with Kent Carter over 30 years ago entitled Patience]. And on a septet setting for cello, pocket trumpet, Rhodes piano [! ], percussion, trombone and noise bursts and sawtooth emissions, Toral explores a territory akin to In A Silent Way as imagined by Sun Ra. You may very well hear Toral’s space program differently- as a capitulation to jazz’ exhausted approach to improvisation, as an interesting catalog of space age sounds interacting with traditional instruments, absent the bracing, sometimes exhilarating effects of the paradoxes I referenced. What I hear is the development of a new language in a sometimes exalted, sometimes serene sound world, rooted always in both the ether and the earth. And the spontaneous whoops, cries and trills of imaginary beings, familiar and utterly strange. This entry was posted in music writing on April 29, 2010 by jessewgoin.